Are you planning a vacation little longer than just a weekend? Looking to relax a bit more and visit some more places? Om travel online- the best Udaipur taxi services provider is here to help you out. Sit back and enjoy the trip while we take you on a tour to places around Udaipur that are less than a three hour drive away. There are a number of such places and we will be covering each one by one through a series of articles. The first one is Mount Abu. Mt Abu is a beautiful hill station located on the borders of Rajasthan and Gujarat. 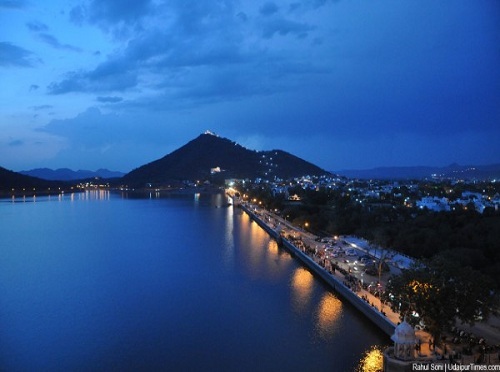 It is approximately 163 kilometers away from Udaipur. Situated over the rocky terrains of Aravali Mountains, Mt Abu offers breathtakingly beautiful view. You can reach there by bus, train or avail for taxi services in Udaipur to here that brings you here comfortably at your own preferred time. When the temperatures soar high in summer Mt Abu is the perfect escape. A day at Mt Abu typically begins with a visit to Dilwara Jain temples. Known for its beautiful ornamental stone carvings, wonderful integration of marble in architecture and exquisite designing Dilwara temples are a must visit for its sheer brilliance. Dilwara temples are a collection of five temples built on themes taken from Jain culture. These are Mahavir Swami, Parshvanath, Pithalhar, Vimal Vasahi and Luna Vasahi. The next stoppage would be Guru Shikhar- the highest mountain peak of Aravali mountain ranges. It leaves you awestruck with an amazing panoramic view of the region. At the top there is a temple of Guru Dattatreya who is considered to be an incarnation of Lord Brahma. Some of the loveliest photographs of your entire trip will be from this region. As the sunset time closes near you must be rushed to the sunset point which is a major tourist attraction in Mt Abu. Remember the movie Qyamat se Qayamat tak starring Juhi Chawla and Amir Khan? One of the most iconic scenes of the movie was shot here. The setting sun, reddish orange glow on the canvas of sky and pristineness in the surroundings mentally transport you into a state if bliss. The poetic beauty of a beautiful dusk can only be witnessed not described in words. Keep your camera ready to catch the glory of nature at its best. And the best way to end the day is by spending evening by the Nakki Lake and shopping around the local market. Believed to be dug by Gods when seeking from a demon, Nakki Lake is an ancient lake that calms you with its tranquility. 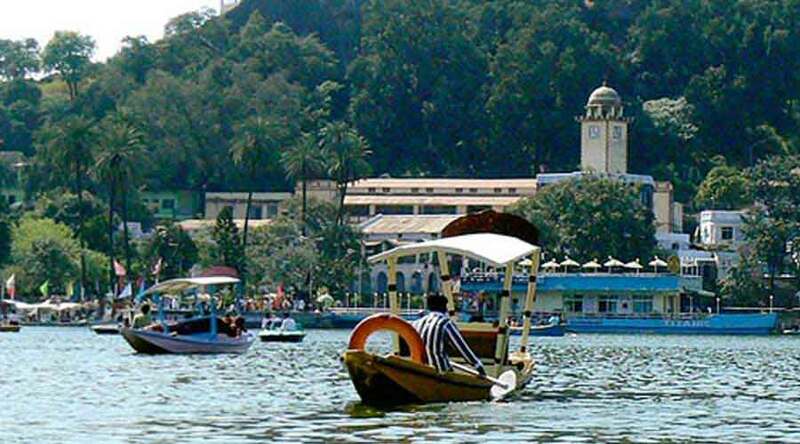 The best way to absorb its beauty is by spending an hour or so leisurely boating in Nakki Lake. 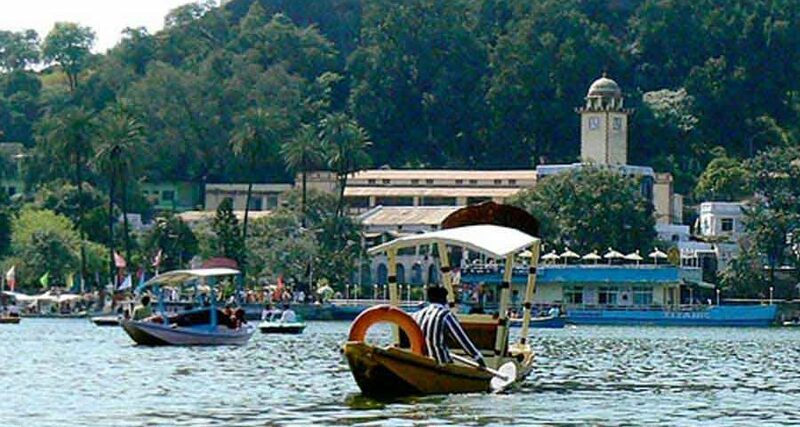 Last but not the least comes the shopping and hopping around some of the famous Mt Abu bazaars like Kashmiri Cottage Emporium, Khadi Bhandar, Government Handicraft Emporium etc. For Adventure lovers Mt Abu has some unique activities to offer too. More about them next time! Watch out this space for our next article soon. Meanwhile if you are in search of car rental service in Udaipur or taxi in Udaipur call Om travels Online now! We’ll be glad to assist you in your tour.